Hi, my name is Scott and welcome to love–ebikes. Scotland’s newest dedicated, specialist and independent electric bicycle shop. Quite simply, we love electric bikes, all shapes and sizes. From city electric bicycles to trekking to folding, to mountain ebikes and even cargo electric bikes, we love them all. We offer you a hand-picked selection of what we believe are the best electric cycles on the market. We even have carbon trekking ebikes, the only shop in Scotland to stock these. We did the homework for you, travelling across the globe, going to the biggest and more prestigious trade shows, making sure we have not only unique brands, but the biggest range and choice nationwide for your convenience under one roof. 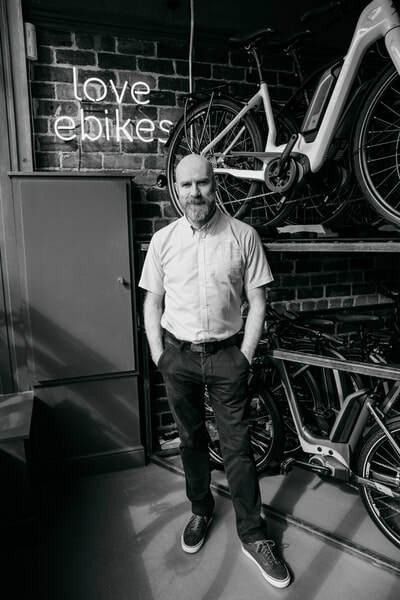 We personally tested every bike before choosing which ones to include in our range so rest assured, you have the widest choice of the best electric bikes available worldwide. Almost all of our bikes are fitted with Bosch or Shimano systems so you know you are buying quality you can rely on. 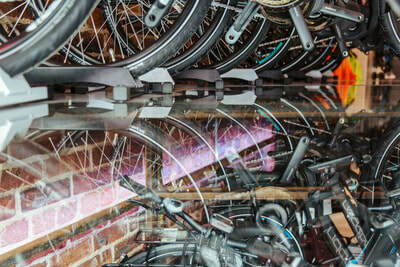 ​With over 40 electric bikes in stock you can see and touch a huge array of ebikes. If you fancy test riding an electric bike, maybe for the first time, we will take you out on a one to one demo ride to show you how amazing they are. We have some nice quiet streets behind the shop and dare I say hills which are fantastic to see how great electric bicycles really are. Enjoy having a browse around our website. For any further information please use the contact page or we have a Facebook page, love-ebikes. ​We are a member of the cycle to work scheme(cycle scheme) so if your employer offers this service then come in and have a chat and we can see how much money you can save. ​If you don't know about it please just ask and I will enquire whether you as an employer can offer it to your staff or you a member of staff can utilise it from your employer. For some riding an electric bike may seem like “cheating” but for many others it makes travelling by bike far more accessible and enables them to start incorporating more exercise into their daily routine. Electric bikes are fast becoming more mainstream and you may have even started to see them on the road yourself, but is an electric bike right for you? The law in England, Scotland and Wales means that you do not need a licence to ride an ‘electrically assisted pedal cycle’ (also referred to as an EAPC, ebike or Pedelec). Nor do you need to register, tax or insure it - if you are over the age of 14 you can simply ride an electric bike in the same way as you would a regular push-bike. Unfortunately in Northern Ireland this is not the case and you will need a motorcycle licence to drive any form of electric bike. There are some regulations of course: your bike will only be pedal-assisted when you are travelling up to 15.5mph and have a maximum power output of 250 watts. 1. Great designs and more variety of frames available. In the past electric bikes were seen as clunky, heavy and not very attractive for people who already ride bikes but as technology improves and batteries become smaller new designs of electric bikes are now very slick and even stylish. There are lots of different types of electric bike available on the market including mountain bikes, road bikes, step through frames, cargo bikes and even folding bikes. On average electric bikes cost more than a conventional bike, starting at around £1,500, so you may have to start saving-up to buy one, or you could try the Cycle To Work scheme if your employer offers it. 2. Build confidence in your fitness and ability. 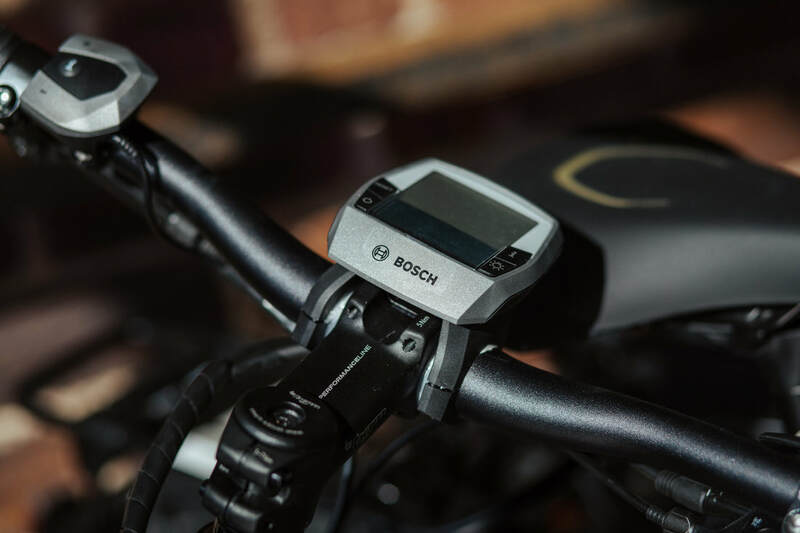 If you have ever felt that you would like to cycle more but are yet to take the plunge into life on two-wheels because you’re worried about your fitness levels, having a bit of battery assistance could help you get started. An electric bike helps by giving you an extra boost as you cycle, so although you’re being electrically assisted you will still be pedalling the whole time. Therefore when riding an electric bike you burn almost as many calories as on a regular bike - which is a whole lot more than you would in a car or on a motorbike. 3. Hills and wind need not be a problem. The thought of cycling uphill against the wind is probably one of the most off-putting reasons for not cycling. With an electric bike neither need to be a problem when you can tap into your electric motor as and when you need it. 4. Wear what you want while you ride. A massive benefit of not exerting as much energy while you cycle means that you won’t overheat and sweat as much as you might do on a traditional bike. This means you can dress more appropriately for prevailing weather conditions. This is a real bonus if you’re cycling to work and there are no shower facilities at the other end. 5. Safer than you think. Having a little more acceleration when starting from a stopped position means that junctions and car traffic can feel a lot safer than if you were using a traditional bike. You may also find that you will be more aware of your surroundings as you won’t spend as much time head-down or standing up on your pedals in an attempt to build up speed. Another safety bonus is with your silent motor running you'll be more aware of the sounds around you than compared with being on a motorbike or scooter. 6. Spend less time in your car. If you are an everyday commuter you may find yourself regularly sitting in traffic daydreaming about being anywhere else other than in your car. That dream can be a reality. Cycling to work is a great way to include more exercise into your daily routine. Arrive at work more alert and ready for the day. 7. Enjoy cycling longer distances without getting exhausted. Being outdoors on a beautiful day can be one of the most enjoyable and relaxing experiences. One of the big draws to long distance riding is that you are able to experience more views and sights than if you were walking. 8. Travel sustainably. Electric bikes not only have less-impact on your knees and thighs, they can also have less of an impact on the environment. 9. Perfect for shopping (carry more cargo). Cycling with a heavy load of groceries can be exhausting. With your panniers full you could be carrying quite a few extra kilograms of weight. 10. Keeping pace with faster cyclists. Cycling can be a very social activity, and there are many who enjoy spending time with others whilst out on two wheels. If you are concerned that you wouldn’t be able to keep up but still want to enjoy time spent with friends or family on a bike ride then an electric bike can help you keep pace with others (and perhaps even go a little faster, if you’re the competitive type!). 11. Cheaper to run than a car or motorbike or using public transport. Although an electric bike may be more expensive than a conventional push-bike, compared to running a car the costs are minimal. If you already own a car you will be very aware that it is not the cheapest form of transport and public transport can cost between 10p-30p per mile. 12. You can try before you buy. 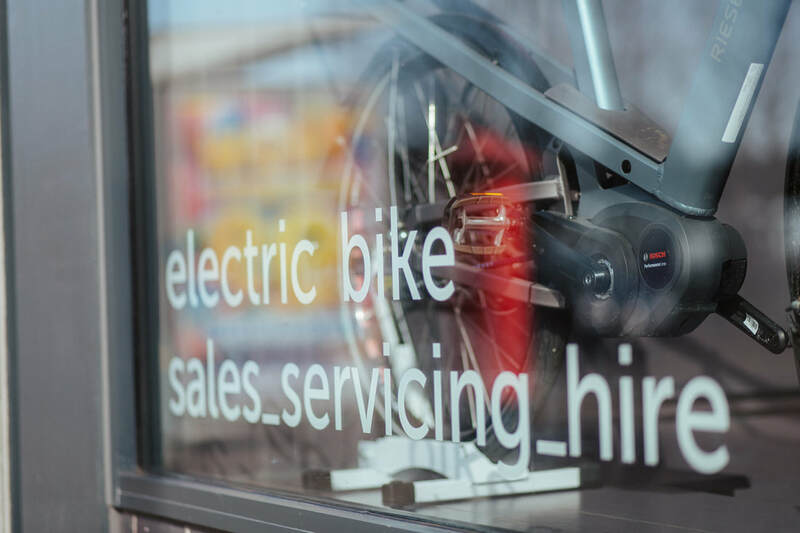 If you think an e-bike might be right for you there are many retailers that offer a “try before you buy” offer, so you have the opportunity to do exactly that before committing to buying the bike. ​Taken from the Sustrans website.